Many of the trends we put in the spotlight throughout 2015 reflect larger conversations that we are constantly engaged in as a society and as a team. Today, many of the best new ideas and inventions are inspired by humanity’s fascination with and desire to merge the virtual world with the physical world. Our rate of technological acceleration is creating new opportunities in every aspect of our lives – from the way we receive health care, to the way we meet our spouses, to the way we do business. The much anticipated release of Tesla’s automated driving software 7.0 was received by the public in much the same way that many of Elon Musks brilliant endeavors are – with both criticism and awe. Elon Musk, Founder of Tesla Motors, recently rolled out its new “Autopilot” software for the Model S electric car to the public. This means that any paying customer (it currently costs about $2,500 to activate) can become a beta-tester of the software if they choose to turn it on. This is a very noteworthy, albeit high-risk development in Tesla’s pursuit of automated driving software. It is safe to say that no other car company in the U.S. would be willing to take on this kind of liability. But this is the kind of risk-taking that keeps Tesla at forefront of the industry. 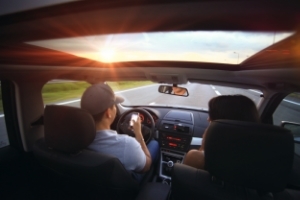 While still imperfect and incomplete, this “beta-test” phase of the software controls the main driving functions of the vehicle: It will keep the car in its lane, change lanes when appropriate, avoid hazards and other cars, and speed up or slow down as needed. In a subsequent press conference, Elon Musk made it clear that drivers choosing to test the software in their vehicles needed to proceed with caution and keep their hands on the wheel at all times, alert to the need to take back control of the vehicle at any time. With the amount of data being sent back to Tesla from the roughly 100,000 Model S cars currently on the road, the technology grows quickly. As Musk put it, “Each driver is effectively an expert trainer in how Autopilot should work.”. We make a variety of transactions every single day, most of which require us to have our credit cards or cash readily available and on our person. Mobile payments change all of that, simplifying the process into one simple gesture and utilizing one tool – the smartphone. Consumers have been able to make point-of-sale payments from their phone for a while now; for various reasons the technology has been somewhat slow to catch on widely. However, with the launch of Apple Pay, the trend is now gaining real momentum. 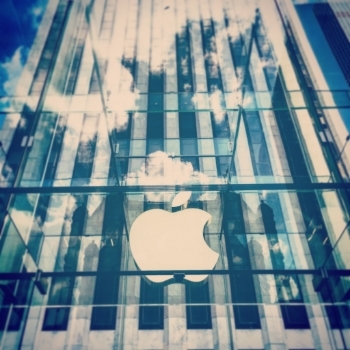 While Apple has not reinvented the wheel here, they have combined available technologies together in a way that is demonstrably easier than prior attempts by other companies. Gone will be the days of scribbling signatures, fumbling for ID’s and rifling through numerous credit cards. With Apple Pay, the transaction takes place automatically when your phone is held up to the checkout terminal, with no need to open an app as with Google Wallet or PayPal. Understandably, security is a major concern. The good news is that using mobile payment services can actually be more secure than swiping a credit card. In the case of Apple Pay, they ensure this by using sophisticated encryption technology as well as the iPhone’s Touch ID fingerprint sensor, negating the need for a PIN number or password. Although there is still a long way to go, Apple Pay is currently holding the torch. Before you come to appreciate the creative genius of this unconventional idea, Balloon-Powered Internet may just sound a little…Loony! The goal of this project, however, is very straightforward: Google’s Project Loon promises to make the Internet accessible to everyone in the world. Surprising as it may be, this is a task much greater than most of us who live in urban, developed areas realize. In most developed nations today, the Internet is inextricably linked to modern society, a resource that is imperative to the function of daily life. However, for much of the world’s population, access to the Internet is still very much a luxury. The reality is that nearly two thirds of humanity still lacks access to the Internet! In an age where access to information and technology strongly influence quality of life, health and education, Project Loon is taking on a challenge that could truly change the lives of over half of the people on Earth. Leave it to Google to take on such a feat. Project Loon is a network of large high-altitude balloons that travel the earth’s stratosphere, designed to connect people in remote areas of the world to the Internet. The balloons also fill coverage gaps and can help get people back online after disasters. “Loon Balloons,” as they are called, are large polyethylene balloons, which measure approximately 15 meters wide by 12 meters tall. Using the wind patterns of the stratosphere, which vary in direction and speed, Loon Balloons travel by rising or descending into a particular wind layer that is blowing in the desired direction of travel. Using complex algorithms, Google’s “mission control” center can deliver the balloons to pinpointed locations around the globe. Google has already partnered with major telecommunications providers in every country. Using LTE, a common protocol that most providers use worldwide, anyone with a smartphone anywhere in the world will be able to gain Internet access via the Loon Balloons. 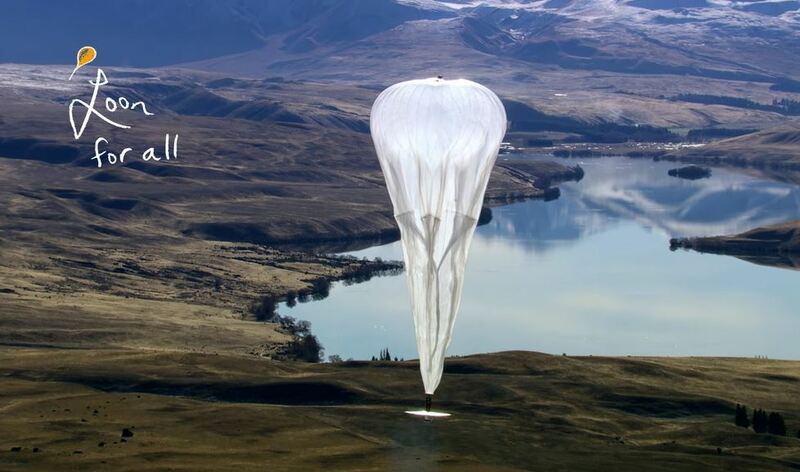 Judging by the success of the pilot program, first launched in New Zealand in 2013, Project Loon may be slated for its official launch very soon – making reliable Internet service available to the most rural locations on Earth for the first very time! 1. Snow sport enthusiasts are going gaga for: Recon Snow, a high-tech pair of goggles that allow skiers and snowboarders to access data in a whole new way, sans smartphone – all while atop a powdery peak. The goggles look like a typical set of ski goggles, however, tucked below the right eye is a tiny display controlled by a simple, waterproof remote that clips to the jacket. Information such as speed, altitude, and GPS navigation are readily accessible. The goggles cover communication needs too; through Bluetooth, the display integrates with a smartphone, letting skiers play music, answer calls, and see text messages. 2. Smart devices tailored for runners have been emerging with greater frequency over the past few years. One example we like are the Stridalyzer smart insoles created to help runners improve their performance, avoid injuries and strategize training techniques. When runners insert these insoles into their running shoes, they are able to analyze data such as running posture, mileage, pace and stride rate from each of their running sessions via an app on their smartphone. 3. Smart clothing. It’s true, one day you may be able to take a call or a picture with…your jeans! At least that is what Project Jacquard has set out to design. Smart textiles are still a thing of the future, but a very near one. 4. 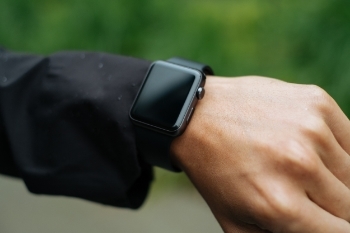 The future iteration of wearable tech may be the inevitability of the wearable drone. In fact, many futurist techies are already designing and experimenting with many ideas for wearable drones that offer a wide array of ‘services’ such as navigating new cities and trails, or providing environmental protection. One notable wearable drone, Breathe sits on your shoulder and monitors air quality. When pollution levels get dangerously high, the drone will deploy and hover in front of your mouth to provide filtration. As post-apocalyptic as this idea sounds, for many places on Earth, technology like this could be saving lives now.